This attractive hybrid building was recently installed for a customer based in Holloway, London. 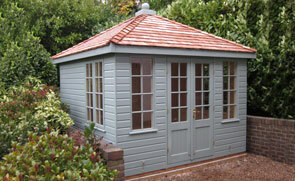 With a desire to have both a high-quality garden shed and a summerhouse in their garden, our customer worked with our friendly advisors to create their bespoke building. 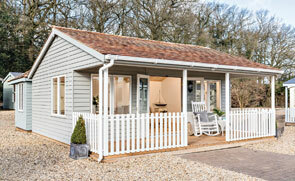 A merging of both our Superior Shed and Blakeney Summerhouse, the building was designed and built by hand at our Norfolk factory before being both delivered and installed by our in-house fitting team. 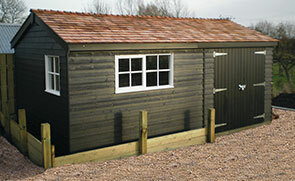 This Superior Shed was recently installed for a customer in the Dulwich area of Greater London. 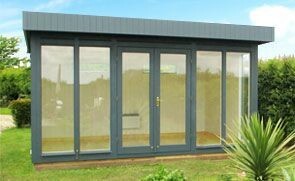 A generous size of 3.0 x 4.2m, this shed is the ultimate storage solution and is incredibly cost-effective when living in a city.